Instructions - How to Stick Your Cover to Macbook? 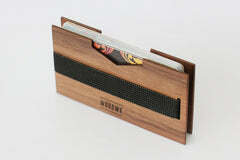 It is short manual for our Macbook Wood / Stone / Rust Cover application. 1. Clean your Macbook with the wet wipes provided and ensure the surface is clean and dry. 2. Take your MacBook Skin and carefully peel away two inches of backing paper from a longer side. 3. Start sticking your Cover to one of your Macbook corners - it will act as a reference point for further application. 4. Try to stick the second corner and line up the long side of your MacBook Skin with the correct long side of your device, making sure it lines up with the Apple icon, edges and/or feet. 5. Holding the MacBook Cover and device together at the long end with one hand, gently pull away the backing paper with the other hand. 6. Make sure your MacBook Skin is thoroughly aligned with your device as you peel off the rest ofthe backing paper. 7. Stand back and admire just how awesome you are.